The Coonhound Promotional Kit: Use it to help them get homes! Click to download a ZIP archive of files. The Coonhound Companions group is frequently contacted with both with desperate pleas for help and offers of assistance. This is wonderful! There’s nothing more heartwarming and exciting than people willing to get involved and take steps to help dogs, in particular our beloved long-eared hounds. First of all, regarding the desperate pleas for help for individual dogs in specific shelters, keep in mind that Coonhound Companions is not a rescue group. We are a like-minded group of individuals throughout North America with a common goal of promoting coonhounds as family companions and recognizing them as great pets. Some of us do participate in rescue and some of us have other special talents. As individuals, if we have contacts or knowledge of resources, we will share those with you and try to help you with that dog. We may not be able to do that, but please, join us in our efforts to promote these great dogs and help us reach our goals. If you have talents or expertise in web development, graphic design, photography, legal knowledge for non-profits, fundraising, public relations, education, news media, or advertising and a strong motivation to volunteer, please send us an email at info@coonhoundcompanions.com. Let us know what your talents are and how much time and effort you’d like to donate to our cause. We will get back in touch with you and let you know where your talents might be useful. Maybe you just have a strong desire to help dogs in your community. GREAT! Click on the logo above left to download a ZIP archive of files and read on. Here are some suggestions for promoting hounds locally. Add your personal story, ideas, slant, statistics, information, etc. to the Sample Press Release (scroll down) and send it to your local media. There are many types of local news venues. You might have a local radio station, a weekly community newspaper, a local newsletter (township, church, school, large business, etc. ), a regional newspaper, magazine, etc. Help us get the word out by distributing the press release to any local media outlet that you can think of. News media are always grateful for fresh stories! Print the posters and distribute them to your local shelters and any other place dog lovers might meet up… sign boards at local parks, grocery stores, pet stores, veterinarian’s officer, libraries, etc. The posters are designed to be printed on a color printer on 8½ x 11 inch paper. Send us photos and stories that portray coonhounds and foxhounds as family companions. Photos should be high resolution (at least 300 dpi or 5 MB or more). Pictures without clutter in the background work best. Please help us with our next poster or blog story! Share our website, blog, Facebook page and YouTube channel with all your friends, family and colleagues. Check out coonhounds listed on www.Petfinder.com, www.Petango.com, www.PetHarbor.com, on our Links page on the www.coonhoundcompanions.com page or on Facebook on the Coonhound Rescue Network page or Coonhound Companions page. Pick one and promote that dog by sending out emails to contacts or posting that dog’s information on your Facebook page. Never underestimate the power of your personal sharing! Donate time or funds to your local shelter or rescue to help a coonhound in need. Some shelters ask for sponsorship of individual coonhounds to pay for spay/neuter, vaccinations, heartworm treatment, kennel space and more. Shelters need help from volunteers to walk dogs or simply give each dog some love and attention. Foster homes are always needed, but if you can’t foster there are plenty of other volunteer opportunities including special event coordination, transport of hounds, and more. Coming soon! We are teeming with ideas for the future! Please keep checking back to www.coonhoundcompanions.com for more tools to promote coonhounds in your area. Local contact: Add your local information here including local person to contact, a phone number where someone is reachable, and an address and/or email address. Announcing a new effort that seeks to match coonhounds with suitable forever homes: the "Long Ears" campaign. Coonhounds are American-bred dogs that are too frequently overlooked in North American shelters. 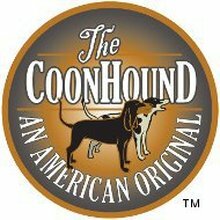 Go to www.coonhoundcompanions.com where an international group of coonhound fanciers have published free public relations materials and will continue to add more. The creative approach features "long ears," which is the visually dominant feature of coonhounds. A series of five photo posters portray coonhound love of children, love of outdoor family activities, athletic talents, soulful bonding, and fabulous long ears. They are designed for free download and display in any public place where coonhounds might be available for adoption. A flyer about some of the humorous traits of pet coonhounds, written by Emily Plishner, a long-time coonhound fancier, competitor, and writer for national coonhound publications, is available for download as well. The idea came from a discussion group where coonhound fanciers lamented the difficulty of finding good adoptive homes for huggable long-eared hounds. Coonhounds are gentle with kids, comfortable with strangers, sociable with other dogs, healthy, and they adapt well to an indoor lifestyle when appropriate exercise is provided. They are just amazing to look at. Finally, hound song can be incredibly inspiring and memorable; each one has a unique voice. They are true American treasures, deserving of respect, admiration, and devotion. The web site also includes links to a Coonhound Companion YouTube channel and Facebook page, as well as a blog. For more information, write info@coonhoundcompanions.com .